In today's housing climate, it can be quite difficult to get one's home sold. Many realtors recommend a number of key upgrades or renovations for those who are having trouble selling their homes. There are so many different things homeowners can do to improve upon their homes and make them more attractive to potential buyers and one option is to get the services of remodelling contractors. However, some of these things are very expensive and not all of these things are the soundest investments. Some improvements give more“bang for the buck”, meaning these are affordable improvements shown to attract potential buyers and those whose cost can be justified, at least in part, in the sale of the home. Improving the home’s curb appeal will definitely make it more attractive to potential buyers. Whether this improvement involves something elaborate like the construction of a porch or the addition of simple landscaping features to the yard, anything that improves curb appeal will get potential buyers in the door. The use of strategically-placed, high quality lighting gives a home a light and airy feel. It also gives the appearance of more space, which is a key selling point. This is also one of the cheapest ways to add a highly attractive feature to the home. 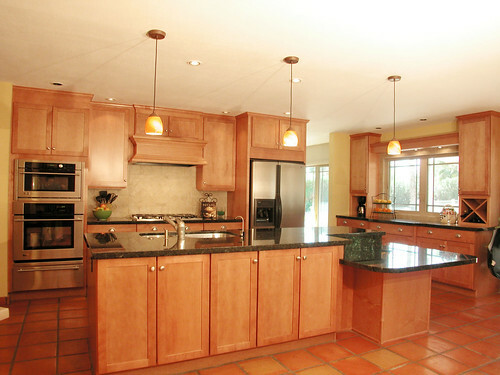 Updating all the appliances in the home, or even just the kitchen, will add to the home's value and appeal. For many potential buyers, updated appliances make the home more "ready to live in," meaning it will not require as much alteration to suit the needs of the new owner as other homes might. Walk-in closets are especially important in family-oriented dwellings where extra storage space is needed. While this is a bigger renovation, it can add a significant amount of value to the home and will attract a wide number of potential buyers. Walk-in closets can also be used for laundry facilities, as well as a place for HVAC ductwork. While this can be a bit costly, it immensely adds to the home's attractiveness and value. According to Nathan Hammond, who holds a bachelor’s degree in Real Estate, replacing the siding on a home is one of the best improvements homeowners can make to appeal to prospective buyers. Many who update their siding see an 89% return on the investment they made on that particular improvement. All of these options not only tend to attract potential buyers, but they also typically add value to the home as well. Whether one does any, all, or a combination of the above-stated tips, they are likely to see an increase in interest in their home. These improvements are key selling points and are oft-stated reasons for choosing to purchase one home over another.